This Nov. 2009 photo courtesy of Dan Suski shows Kate Suski, right, and her brother Dan while on vacation in San Diego, Ca. The brother and sister are recovering in the eastern Caribbean island of St. Lucia after their ship sank on April 21 during a fishing trip, forcing them to swim almost 14 hours to reach land, according to the siblings. The Suskis said they are recovering after being hospitalized with severe dehydration and tendinitis. SAN JUAN, Puerto Rico — The fishing trip off the rugged north coast of St. Lucia was supposed to last all day, but about four hours into the journey, the boat’s electric system crackled and popped. Dan Suski, a 30-year-old business owner and information technology expert from San Francisco, had been wrestling a 200-pound marlin in rough seas with help from his sister, Kate Suski, a 39-year-old architect of Seattle. He was still trying to reel in the fish when water rushed into the cabin and flooded the engine room, prompting the captain to radio for help as he yelled out their co-ordinates. Thus began an ordeal in which the siblings swam 14 hours to reach land. They lived to tell about it back in St. Lucia, safe but shaken. They recalled that the waves kept pounding the boat they had chartered from the local company “Reel Irie” in the eastern Caribbean island. It was April 21 around noon, and the trip was supposed to be a highlight of their sunny vacation. As more water flooded the boat, the captain threw life preservers to the Suskis. “He said, ‘Jump out! Jump out!”’ Kate Suski recalled in a telephone interview Thursday with The Associated Press. The Suskis obeyed and jumped into the water with the captain and first mate. Less than five minutes later, the boat sank. The group was at least eight miles (13 kilometres) from shore, and waves more than twice their size tossed them. “The captain was telling us to stay together, and that help was on its way and that we needed to wait,” Kate Suski said. The group waited for about an hour, but no one came. “I was saying, ‘Let’s swim, let’s swim. If they’re coming, they will find us. We can’t just stay here,”’ she recalled. As they began to swim, the Suskis lost sight of the captain and first mate amid the burgeoning swells. Soon after, they also lost sight of land amid the rain. “We would just see swells and grey,” Dan Suski said. A plane and a helicopter appeared in the distance and hovered over the area, but no one spotted the siblings. Several hours went by, and the sun began to set. “Would our legs cramp up and make it impossible to swim?” the sister continued. They swam for 12 to 14 hours, talking as they pushed and shivered their way through the ocean. Dan Suski tried to ignore images of the movie “Open Water” that kept popping into his head and its story of a scuba-diving couple left behind by their group and attacked by sharks. His sister said she also couldn’t stop thinking about sharks. “I thought I was going to vomit I was so scared,” she said. When they finally reached in exhaustion within 30 feet (9 metres) of land, they realized they couldn’t get out of the water. Dan Suski thought they should try to reach the rocks anyway, but his sister disagreed. “We won’t survive that,” she told him. They swam until they noticed a spit of sand nearby. When they got to land, they collapsed, barely able to walk. It was past midnight, and they didn’t notice any homes in the area. “Dan said the first priority was to stay warm,” she recalled. They heard a stream nearby but decided to wait until daylight to determine whether the water was safe to drink. As the sun came up, they began to hike through thick brush, picking up bitter mangoes along the way and stopping to eat green bananas. “It was probably the best and worst banana I’ve ever had,” Dan Suski recalled. Some three hours later, they spotted a young farm worker walking with his white dog. He fed them crackers, gave them water and waited until police arrived, the Suskis said. The Suskis were hospitalized and received IV fluids, with doctors concerned they couldn’t draw blood from Kate Suski’s arm because she was so dehydrated. They also learned that the captain and mate were rescued after spending nearly 23 hours in the water, noting that their relatives called and took care of them after the ordeal. St. Lucia’s tourism minister called it a miracle, and the island’s maritime affairs unit is investigating exactly what caused the ship to sink. Marine Police Sgt. Finley Leonce said they have already interviewed the captain, and that police did not suspect foul play or any criminal activity in the sinking of the ship. A man who answered the phone Thursday at the “Reel Irie” company declined to comment except to say that he’s grateful everyone is safe. He said both the captain and first mate were standing next to him but that they weren’t ready to talk about the incident. The brother and sister said they don’t blame anyone for the shipwreck. Upon returning to their hotel in St. Lucia earlier this week, the Suskis were upgraded to a suite as they recover from cuts on their feet, severe tendonitis in their ankles from swimming and abrasions from the lifejackets. On Saturday, they plan to fly back to the U.S. to meet their father in Miami. Once a night owl, Kate Suski no longer minds getting up early for flights, or for any other reason. Police Superintendent Héctor Pesquera announced Thursday a shakeup at the top ranks of the Puerto Rico Police Department. Pesquera made changes at the top of commands, regions and divisions around the island. The moves came in the wake of a broad work slowdown as thousands of officers took part in a “sickout” over the past week to protest pay and pension issues. The shakeup also came as Pesquera appears poised to ink another contract to remain at the helm of a 17,000-member force that is the second largest in the U.S.
Pesquera has said that the sickout put the public at risk and posed another challenge in his drive to restore the reputation of a department which has long been accused of corruption, illegal killings and civil rights violations. A former head of the FBI office in Puerto Rico, Pesquera was tapped by former Gov. Luis Fortuño to take the reins of the department in late March 2012. He had been serving as chief of security for the Port of Miami and was contracted on loan from the Miami-Dade County government for a one-year deal that ended March 31. He is technically still an employee of Miami-Dade County, but his pay and expenses are being covered by the island government. He is the highest paid agency chief on the island with a total pay and benefits package topping $283,000 that includes $144,542 in salary. Pesquera has been credited with plugging leaks that have hurt investigations in the past. He has also given his top brass more leeway in forging their own anti-crime strategies around the island without clearing every move through headquarters in San Juan. Gov. Alejandro García Padilla and Pesquera met after the November election to discuss the situation at the Police Department, including the settlement in December of a federal civil rights lawsuit that will require deep reforms. Pesquera agreed then to stay in the post for the first few months of the new administration to provide stability in the nation’s second largest police force. The U.S. Justice Department and the Fortuño administration signed an agreement in December to reform the island’s police department, which has long been accused of corruption, illegal killings and civil rights violations. The agreement resolved a lawsuit that U.S. authorities filed the same day, more than a year after federal prosecutors issued a scathing report on the U.S. territory's police department, which is the second-largest force in the U.S. with more than 17,000 officers. The lawsuit accused police of discrimination, using excessive force and conducting unlawful searches and seizures. The 106-page agreement calls on the Police Department to evaluate how it uses its resources and officers, to revise many of its policies and procedures and provide better training for officers. The department also is expected to create a merit-based promotion system, using written exams as part of a selection process through the rank of captain, and to prohibit specialized tactical units from doing general patrol and police work. The agreement also orders the department to create a system to collect information on every police officer, including all complaints, killings and uses of force. Once a judge approves the agreement, a monitor is expected to file an evaluation on the department every six months for the first three years. In five years, the monitor will evaluate the police department to see whether any changes have taken place, and whether the agreement should be modified. The sickout at the Puerto Rico Police Department was deeper than initially thought, with roughly one-third of the 17,000-member force calling in sick on any given day over the past week, the island’s top cop said Wednesday. Police Secretary Héctor Pesquera told lawmakers that the peak of absenteeism was registered on Sunday, when 6,100 officers said they were too sick to report to work, representing nearly 38 percent of the force. The absenteeism was spread evenly over the three daily shifts, with roughly 2,000 officers calling in sick around the island during each turn. The Police Department had said that the sickout was tracking at a rate of just 2,000 officers a day in apparent protest of pension cuts and pay issues. Pesquera said Wednesday that attendance rolls are not digitalized and are still all done by hand. Pesquera and Gov. Alejandro García Padilla both said this week that the sickout was putting the public at risk. The chief said it also jeopardized the safety of officers who did report for duty and had to cover for absent colleagues. Pesquera said the department began monitoring widespread absenteeism last week, but has yet to launch an investigation into the sickout despite his belief that it was a “coordinated” effort. The Senate Judicial, Security and Veterans Committee is staging a legislative inquiry into the sickout at the second-largest police force in the U.S.
“If it is proven that an officer was absent without cause, that officer won’t remain on the force,” Pesquera said. The police chief said officers can be punished with community service or firing if they don’t present a medical excuse to justify sick days. “Those who have broken the rules should know that I won’t hesitate to investigate and judge any unjustified absence,” Pesquera said. Col. Reinaldo Bermudez, operations director for the island’s police force, said late Tuesday that police operations were slowly returning to normal as absenteeism has been reduced to 5 percent. SAN JUAN, Puerto Rico — Puerto Rico’s governor unveiled a $9.8 billion operating budget Thursday night during a state of the commonwealth address in which he pledged to reduce crime, create jobs, boost school attendance and expand the U.S. territory’s tourism sector. Gov. Alejandro Garcia Padilla said he plans to reduce the island government’s $2.2 billion deficit to $775 million in one year, in part by taxing those who earn $200,000 or more a year or who buy homes valued at $1 million or more. He did not provide details about those taxes. “Under my administration, those who have less, contribute less, and those who have more should contribute more,” he said to boisterous applause of members of his Popular Democratic Party in the seaside Capitol in San Juan. His announcement comes as the U.S. territory struggles to improve its financial situation, seeking improved scores from Wall Street ratings agencies that have downgraded its general obligation bonds to near-junk status. Padilla also said that by Dec. 1, he will reduce the 7 percent sales tax to 6.5 percent and continue to exempt items including prescription medicine, books and non-processed foods. He plans to double the equipment budget for the islandwide police force to more than $150 million to help fight crime. Padilla said the government will buy three helicopters worth $38 million and unveil a new rapid-response system that will help police identify where shots have been fired. The department’s 17,000 offices make it the second largest in U.S. jurisdiction. “Criminals will not be better equipped than our police officers,” Padilla said. The Caribbean island of 3.7 million people had a record 1,117 killings in 2011. The governor also said every police officer, regardless of their rank, will receive an additional $100 a month. It’s a measure meant to appease police, who recently staged a sickout of nearly 2,000 officers a day to demand better wages and protest proposed cuts in retirement benefits. Padilla promised that overall, more than 40,000 public employees in 28 agencies will see pay increases by next February. Jenniffer Gonzalez, a former president of the territory’s House and a member of the opposition New Progressive Party, questioned the pledge for pay raises. “It’s an example of how he plays with people’s expectations,” she said, adding that citizens will pay for those wage increases in other ways. Padilla said the tourism sector will get a boost from a $9.5 million investment to improve cruise ship ports, and a plan to create a walking path from historic Old San Juan to the popular upscale neighborhood of Condado. He promised to reduce the island’s dropout rate, which is one of the highest compared with any U.S. state. Padilla noted that 25 percent of students who enter middle school do not graduate. He said he will revamp the public school curriculum, add more art and physical education classes and create a support system for at-risk students. Roughly 40 percent of adults over the age of 24 in Puerto Rico do not have a high school degree, according to a government study. Eva Ayala, spokeswoman for one of the island’s main education unions, said she wasn’t sure if Padilla’s plan would work. She said teachers need financial backing by the government. “Teachers have to pay for the majority of materials and school repairs out of their own pocket,” she said. Padilla said the proposed budget includes $110 million to cover a range of deficiencies within the Department of Education, and $75 million for the University of Puerto Rico, the island’s largest public university, to eliminate an $800 fee that led to violent protests in recent years. The budget calls for a $1.9 billion in public works and a 20 percent cut in electricity bills, which are on average twice that of those in the U.S. mainland. Padilla’s proposal is $750 million higher than the current budget, which legislators of the opposition party questioned. “This budget should focus on addressing the fiscal crisis from a standpoint of reducing expenditures, and adjust it to the reality of our revenues,” said Sen. Carmelo Rios. WASHINGTON — Puerto Rico-native Marta Rita Velázquez has been charged by federal authorities with spying for Cuba in a case that dates back three decades. The one-count indictment unsealed in U.S. District Court for the District of Columbia on Thursday charges Velázquez, 55, with conspiracy to commit espionage. 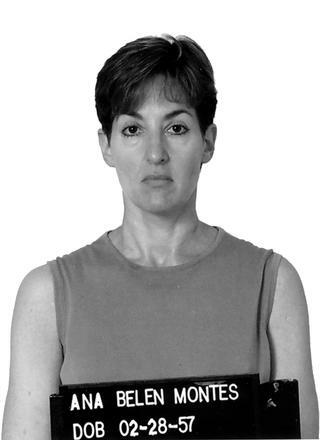 The charges against Velázquez stem from, among other things, her alleged role in introducing Ana Belén Montes, now 55, to the Cuban Intelligence Service (CuIS) in 1984; in facilitating Montes’s recruitment by the CuIS; and in helping Montes later gain employment at the U.S. Defense Intelligence Agency (DIA). Montes served as an intelligence analyst at DIA from September 1985 until she was arrested for espionage by FBI agents on September 21, 2001. In March 2002, Montes pleaded guilty in the District of Columbia to conspiracy to commit espionage on behalf of Cuba. Montes is currently serving a 25-year prison sentence. The indictment against Velázquez, who is also known as “Marta Rita Kviele” and as “Barbara,” was originally returned by a grand jury in the District of Columbia in February 2004. It has remained under court seal until Thursday. Velázquez has continuously remained outside the United States since 2002. She is currently living in Stockholm, Sweden. If convicted of the charges against her, Velázquez faces a potential sentence of up to life in prison. According to the indictment, Velázquez was born in Puerto Rico in 1957. She graduated from Princeton University in 1979 with a bachelor’s degree in political science and Latin American studies. Velázquez later obtained a law degree from Georgetown University Law Center in 1982 and a master’s degree from Johns Hopkins University School of Advanced International Studies (SAIS) in Washington, D.C., in 1984. Velázquez later served as an attorney advisor at the U.S. Department of Transportation, and, in 1989, she joined the State Department’s U.S. Agency for International Development (USAID) as a legal officer with responsibilities encompassing Central America. During her tenure at USAID, Velázquez held a top secret security clearance and was posted to the U.S. Embassies in Nicaragua and Guatemala. In June 2002, Velázquez resigned from USAID following press reports that Montes had pleaded guilty to espionage and was cooperating with the U.S. government. The indictment alleges that, beginning in or about 1983, Velázquez conspired with others to transmit to the Cuban government and its agents documents and information relating to the U.S. national defense, with the intent that they would be used to the injury of the United States and to the advantage of the Cuban government. As part of the conspiracy, Velázquez allegedly helped the CuIS spot, assess, and recruit U.S. citizens who occupied sensitive national security positions or had the potential of occupying such positions in the future to serve as Cuban agents. For example, the indictment alleges that, while Velázquez was a student with Montes at SAIS in Washington, D.C., in the early 1980s, Velazquez fostered a strong, personal friendship with Montes, with both sharing similar views of U.S. policies in Nicaragua at the time. In December 1984, the indictment alleges, Velázquez introduced Montes in New York City to a Cuban intelligence officer who identified himself as an official of the Cuban Mission to the United States. The intelligence officer then recruited Montes. In 1985, after Montes’ recruitment, Velázquez personally accompanied Montes on a clandestine trip to Cuba for Montes to receive spy craft training from CuIS. Later in 1985, Velázquez allegedly helped Montes obtain employment as an intelligence analyst at the DIA, where Montes had access to classified national defense information and served as an agent of the CuIS until her arrest in 2001. During her tenure at the DIA, Montes disclosed the identities of U.S. intelligence officers and provided other classified national defense information to the CuIS. During this timeframe, Velázquez allegedly continued to serve the CuIS, receiving instructions from the CuIS through encrypted, high-frequency broadcasts from her handlers and through meetings with handlers outside the United States. This case was investigated by the FBI’s Washington Field Office and the DIA. It is being prosecuted by Senior Trial Attorney Clifford Rones of the Counterespionage Section in the Justice Department’s National Security Division and Assistant U.S. Attorney G. Michael Harvey of the U.S. Attorney’s Office for the District of Columbia. A former US government employee has been accused of recruiting US citizens in sensitive national security posts to spy for the Cuban government. Marta Rita Velazquez, 55, worked for the state department between 1989-2002 and had top-secret clearance. Authorities say she fled the US in 2002 amid reports a spy she had recruited was co-operating with investigators. Ms Velazquez, who now lives in Sweden, is also accused of passing secret documents to the Cuban government. If extradited, tried and convicted, she could face life in prison. The charges stem in part from an earlier case against Ana Belen Montes, Ms Velazquez's alleged co-conspirator, who pleaded guilty in 2002 to spying on behalf of the Cuban government and is now serving a 25-year prison sentence in the US. According to an indictment unveiled by the US justice department, Ms Velazquez recruited Montes in 1984, introduced her to the Cuban Intelligence Service and then helped her obtain a job at the US Defense Intelligence Agency. Montes became the agency's senior analyst for Cuban affairs. Ms Velazquez is also accused of passing on documents and information to Cuban intelligence officials on matters relating to US national defence. The indictment against Ms Velazquez, who has also gone by the names Marta Rita Kviele and Barbara, was first returned by a grand jury in 2004 but was not unsealed until Thursday. She was born in Puerto Rico in 1957 and studied at Princeton University, Georgetown Law Center and Johns Hopkins University, the charge sheet says. Ms Velazquez developed a close friendship with Montes at Johns Hopkins, US authorities said. As a federal employee, Ms Velazquez worked for the state department's development arm, the US Agency for International Development, held a top-security clearance and was posted to US embassies in Nicaragua and Guatemala. As it emerged that Montes had pleaded guilty to espionage and was co-operating with the US government, Ms Velazquez resigned her government job and left the US. The US has maintained a near total trade embargo against Cuba since 1962, but during his first term in office President Barack Obama relaxed restrictions on Cuban Americans' travel to the island and raised the limit on the amount of money they could send to family members there. 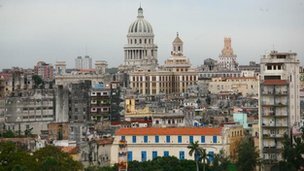 A former US government employee is accused of recruiting US citizens in sensitive national security posts to spy for Cuba. The defendant allegedly helped a Cuban Intelligence Service recruit and insert spy into the U.S. Defense Intelligence Agency. News & Notes: Velazquez '79 accused of espionage against US government The Daily Princetonian The following year, she helped organize the Latino Festival, in which she gave the opening remarks for a talk called “Independence and Social..
Ana Montes blindsided the U.S. intelligence community with brazen acts of treason on behalf of Cuba. So why has no one heard of her? WASHINGTON, D.C. — Ana Montes has been locked up for a decade with some of the most frightening women in America. Once a highly decorated U.S. intelligence analyst with a two-bedroom co-op in Washington, Montes today lives in a two-bunk cell in the highest-security women's prison in the nation. Her neighbors have included a former homemaker who strangled a pregnant woman to get her baby, a longtime nurse who killed four patients with massive injections of adrenaline, and Lynette "Squeaky" Fromme, the Charles Manson groupie who tried to assassinate President Ford. But hard time in the Lizzie Borden ward of a Texas prison hasn't softened the former Defense Department wunderkind. Years after she was caught spying for Cuba, Montes remains defiant. "Prison is one of the last places I would have everchosen to be in, but some things in life are worth going to prison for," Montes writes in a 14-page handwritten letter to a relative. "Or worth doing and then killing yourself before you have to spend too much time in prison." Montes spied for 17 years, patiently, methodically. She passed along so many secrets about her colleagues — and the advanced eavesdropping platforms that American spooks had covertly installed in Cuba — that intelligence experts consider her among the most harmful spies in recent memory. But Montes, now 56, did not deceive just her nation and her colleagues. She also betrayed her brother Tito, an FBI special agent; her former boyfriend Roger Corneretto, a Cuban-intelligence officer for the Pentagon; and her sister, Lucy, a 28-year veteran of the FBI who has won awards for helping to unmask Cuban spies. In the days after the Sept. 11, 2001, terrorist attacks, the FBI's Miami field office was on high alert. Most of the hijackers had spent time in South Florida, and FBI personnel there were desperate to learn whether any more had stayed behind. So when a supervisor asked Lucy Montes to come to his office, she didn't blink. Lucy was a veteran FBI language analyst who translated wiretaps and other sensitive communications. But this impromptu meeting had nothing to do with Sept. 11. An FBI squad leader sat Lucy down. Your sister, Ana, has been arrested for espionage, he informed her, and she could face the death penalty. Your sister, Ana, is a Cuban spy. Lucy didn't scream, didn't storm out in disbelief. Instead, she found the news strangely reassuring. "I believed it right away," she recalled in a recent interview. "It explained a lot of things." Major news organizations reported on the arrest, of course, but it was overshadowed by nonstop coverage of the terrorist attacks. Today, Ana Montes remains the most important spy you've never heard of. Born on a U.S. Army base in 1957, Ana Montes is the eldest child of Emilia and Alberto Montes. Puerto Rico-born Alberto was a respected Army doctor, and the family moved frequently, from Germany to Kansas to Iowa. They settled in Towson, Md., outside Baltimore, where Alberto developed a successful private psychiatric practice and Emilia became a leader in the local Puerto Rican community. Ana thrived in Maryland. Slender, bookish and witty, she graduated with a 3.9 GPA from Loch Raven High School, where she noted in her senior yearbook that her favorite things included "summer, beaches . . . chocolate chip cookies, having a good time with fun people." But the bubblegum sentimentality masked a growing emotional distance, grandiose feelings of superiority and a troubling family secret. To outsiders, Alberto was a caring and well-educated father of four. But behind closed doors, he was short-tempered and bullied his children. Alberto "happened to believe that he had the right to beat his kids," Ana would later tell CIA psychologists. "He was the king of the castle and demanded complete and total obedience." The beatings started at 5, Lucy said. "My father had a violent temper," she said. "We got it with the belt. When he got angry. Sure." Ana's mother feared taking on her mercurial husband, but as the verbal and physical abuse persisted, she divorced him and gained custody of their children. Ana was 15 when her parents separated, but the damage had been done. "Montes' childhood made her intolerant of power differentials, led her to identify with the less powerful, and solidified her desire to retaliate against authoritarian figures," the CIA wrote in a psychological profile of Montes labeled "Secret." Her "arrested psychological development" and the abuse she suffered at the hands of a temperamental man she associated with the U.S. military "increased her vulnerability to recruitment by a foreign intelligence service," adds the 10-page report. Lucy recalls that even as a teenager, Ana was distant and judgmental. "We were only a year apart, but I have to tell you that I never really felt close to her," Lucy said. "She wasn't one that wanted to share things or talk about things." Ana Montes was a junior at the University of Virginia when she met a handsome student during a study-abroad program in Spain. He was from Argentina and a leftist, friends recall, and helped open Montes' eyes to the U.S. government's support of authoritarian regimes. Spain had become a hotbed of political radicalism, and the frequent anti-American protests offered a welcome diversion from schoolwork. "After every protest, Ana used to explain to me the 'atrocities' that the U.S.A. government used to do to other countries," recalls Ana Coln, a fellow college student who befriended Montes in Spain in 1977 and now lives near Gaithersburg, Md. "She was already so torn. She did not want to be American but was." After college, Montes moved briefly to Puerto Rico but could not find suitable work. When a friend told her about an opening as a clerk typist at the Department of Justice in Washington, she put her political considerations aside. A job was a job. 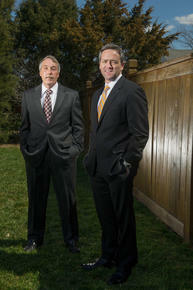 Montes excelled at the DOJ's Office of Privacy and Information Appeals. Less than a year later, after an FBI background check, the Department of Justice granted Montes top-secret security clearance. She could now review some of the DOJ's most sensitive files. While holding down her day job, Montes began pursuing a master's degree at the School of Advanced International Studies at Johns Hopkins University. Her political views hardened. Montes developed a hatred for the Reagan administration's policies in Latin America and especially for U.S. support of the contras, the rebels fighting the communist Sandinista government in Nicaragua. Montes was now a budding Washington bureaucrat and a full-time student at one of the country's premier universities. But she was about to take on another demanding assignment: spy in training. In 1984, the Cuban intelligence service recruited her as a full-blown agent. Sources close to the case think that a friend at SAIS served as a facilitator for the Cubans, helping to identify potential spies. Cuba considers recruiting at American universities a "top priority," according to former Cuban intelligence agent Jose Cohen, who wrote in an academic paper that the Cuban intelligence service identifies politically driven students at leading U.S. colleges who will "occupy positions of importance in the private sector and in the government." Montes must have seemed a godsend. She was a leftist with a soft spot for bullied nations. She was bilingual and had dazzled her DOJ supervisors with her ambition and smarts. But most important, she had top-secret security clearance and was on the inside. "I hadn't thought about actually doing anything until I was propositioned," Montes would later admit to investigators. The Cubans, she revealed, "tried to appeal to my conviction that what I was doing was right." CIA analysts interpret the recruitment a bit more darkly. Montes was manipulated into believing that Cuba desperately needed her help, "empowering her and stroking her narcissism," the CIA wrote. The Cubans started slowly, asking for translations and bits of harmless intel that might assist the Sandinistas, her pet cause. "Her handlers, with her unwitting assistance, assessed her vulnerabilities and exploited her psychological needs, ideology, and personality pathology to recruit her and keep her motivated to work for Havana," the CIA concluded. Montes secretly visited Cuba in 1985 and then, as instructed, began applying for government positions that would grant her greater access to classified information. She accepted a job at the Defense Intelligence Agency, the Pentagon's major producer of foreign military intelligence. In an early mistake, Montes had confided to her old friend from Spain, Ana Coln, that she had visited Cuba and had had a fling with the cute guy who toured her around the island. Montes also revealed that she was about to take a DIA job. "I was dumbfounded," Coln recalled. "I couldn't understand why somebody with her leftist beliefs would be willing to work for the U.S.A. government and for the military." Montes said she wanted to be part of the political action and was "an American girl, after all." But days after the confession, Montes cut her girlfriend off. Coln called and wrote letter after letter for 21/2 years, to no avail. Montes wouldn't engage. Coln never heard from Montes again. Back in Miami, Lucy Montes also was puzzled by her sister's decision to work for the Defense Department. But she loved her sister and was so eager to make a connection that she didn't press the point. Ana had become more introverted and rigid in her views since joining DIA. "She would talk to me less and less about things that were going on with her," Lucy said. Ironically, Ana now had much in common with her siblings. Although Juan Carlos, the baby of the family, had become a deli owner in Miami, Lucy and her other brother, Alberto "Tito" Montes, had chosen careers helping to protect the United States. Tito had become an FBI special agent in Atlanta, where he still works, and his wife was an FBI agent. Lucy had become an FBI Spanish-language analyst in Miami, a job she still holds, frequently working on cases involving Cubans. Her husband at the time worked for the FBI, too. Of her family members, only Lucy would be interviewed. She agreed to talk for the first time — more than a decade after her sister's arrest — to make her views on Ana clear. "I don't feel the way that a lot of her friends seem to feel, like there's a good excuse for what she did, or I can understand why she did it, or, you know, what this country did is wrong. There's nothing to be admired," Lucy said. For the next 16 years, Ana Montes excelled — in both Washington and Havana. Hired by the DIA as an entry-level research specialist, she was promoted again and again. Montes quickly became DIA's principal analyst for El Salvador and Nicaragua, and later was named the DIA's top political and military analyst for Cuba. In the intelligence community and at DIA headquarters, Montes became known as "the Queen of Cuba." Not only was she one of the U.S. government's shrewdest interpreters of Cuban military affairs — hardly surprising, given her inside knowledge — but she also proved adept at shaping (and often softening) U.S. policy toward the island nation. 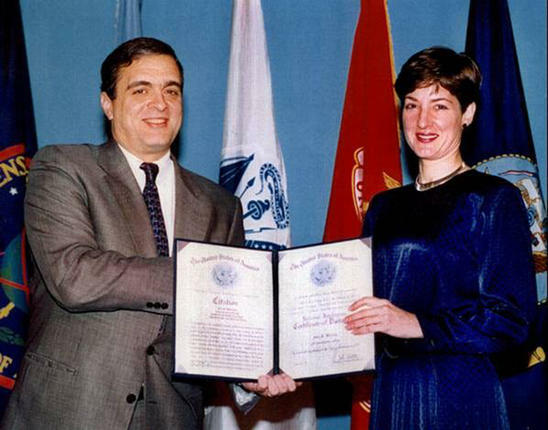 Over her meteoric career, Montes received cash bonuses and 10 special recognitions for her work, including a certificate of distinction that George Tenet, then the CIA director, presented her in 1997. The Cubans also awarded their star student with a medal, a private token of appreciation that Montes could never take home. She became a model of efficiency, a warrior monk embedded deep within the bureaucracy. From cubicle C6-146A at DIA headquarters at Joint Base Anacostia-Bolling in Washington, she gained access to hundreds of thousands of classified documents, typically taking lunch at her desk absorbed in quiet memorization of page after page of the latest briefings. Colleagues recall that she could be playful and charming, especially with bosses or when trying to talk her way into a classified briefing. But she also could be arrogant and declined most social invitations. Montes would clock out at DIA, then start her second job at her Macomb Street apartment. She never risked taking a document home. Instead, she fastidiously memorized by day and typed in the evenings, spewing whole documents into a Toshiba laptop. Night after night, she poured years' worth of highly classified secrets onto cheap floppy disks bought at Radio Shack. Her tradecraft was classic. In Havana, agents with the Cuban intelligence service taught Montes how to slip packages to agents innocuously, how to communicate safely in code and how to disappear if needed. They even taught Montes how to fake her way through a polygraph test. She later told investigators it involves the strategic tensing of the sphincter muscles. It's unknown if the ploy worked, but Montes did pass a DIA-administered polygraph in 1994, after a decade of spying. Montes got most of her orders the same way spies have since the Cold War: through numeric messages transmitted anonymously over shortwave radio. She would tune a Sony radio to AM frequency 7887 kHz,then wait for the "numbers station" broadcast to begin. A female voice would cut through the otherworldly static, declaring, "Atencin! Atencin!" then spew out 150 numbers into the night. "Tres-cero-uno-cero-siete, dos-cuatro-seis-dos-cuatro," the voice would drone. Montes would key the digits into her computer, and a Cuban-installed decryption program would convert the numbers into Spanish-language text. Montes also took the unusual risk of meeting the Cubans face-to-face. Every few weeks, she would dine with her handlers in Washington area Chinese restaurants, where Montes would slide a fresh batch of encrypted diskettes past tiny dishes of delicacies. The clandestine handoffs also took place during Montes' vacations, on sunny Caribbean islands. Montes even traveled to Cuba four times for sessions with Cuba's top intelligence officers. Twice, she used a phony Cuban passport and disguised herself in a wig, hop-scotching first to Europe to cover her tracks. Two other times she got Pentagon approval to visit Cuba on U.S. fact-finding missions. She would meet at the U.S. Interests Section in Havana during the day but slip away to brief her Cuban superiors. Back in the States, when Montes needed to convey an urgent message, she reached for a pager. 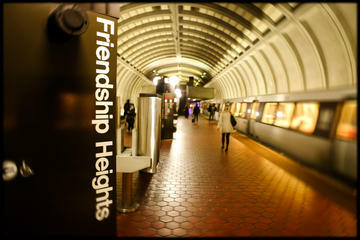 Montes would seek out pay phones at the National Zoo, a Metro station or by an old department store to call pager numbers controlled by the Cubans. One beeper code would mean "I'm in extreme danger"; another, "We have to meet." Schooled in spycraft by the KGB, the Cubans relied on the storied tools of the trade. Montes' pager codes and shortwave-radio notes, for example, were written on specially treated paper. "The frequencies and the cheat sheet for the numbers, that was all on water-soluble paper," explained the FBI's Pete Lapp, one of two top agents on the case. "You throw it in the toilet, and it evaporates." Spying was lonely. Montes could confide only in her handlers. Family gatherings and holidays with her two FBI siblings and their FBI-employed spouses became tense affairs. At the beginning, the Cubans provided enough of a social life. "They were emotionally supportive. They understood my loneliness," Montes told investigators. But as she turned 40, Montes became despondent. "I was finally ready to share my life with someone but was leading a double life, so I did not feel I could live happily," she revealed. The Cubans set her up with a lover, but after a couple of days of fun, she realized she would not find happiness with a "mail order" groom. Ana's alienation only grew when, by strange coincidence, Lucy began working on the biggest case of her career: a massive crackdown on Cuban spies operating in the United States. It was 1998, and the Miami field office had uncovered a Cuban spy ring based in Florida, the so-called Wasp Network. More than a dozen members strong, the Wasp Network was infiltrating Cuban exile organizations and making inroads into U.S. military sites in Florida upon its capture. For Lucy, the Wasp case marked the crowning achievement of her career. The FBI had called on her to translate hours of wiretapped conversations of Cuban spies who were trying to penetrate the U.S. Southern Command base in Doral, Fla. Lucy earned praise from the FBI brass and an award from a local Latin chamber of commerce. But she never shared the news with Ana. Although Ana was one of the preeminent Cuba experts in the world and should have been ecstatic that her sister had helped expose a Cuban spy ring, Lucy was convinced Ana would just change the subject. "I knew she would have no interest in hearing about it or talking about it," Lucy said. But Lucy's triumph became Ana's despair. Ana's handlers suddenly went dark. They refused to contact her for months as they assessed the fallout from the investigation. "Something that gave me fulfillment disappeared," she later told investigators. Ana bottomed out. She experienced crying spells, panic attacks and insomnia. She sought psychiatric treatment and started taking antidepressants. CIA-led psychologists would later conclude that the isolation, lies and fear of capture had triggered borderline obsessive-compulsive traits. Montes began showering for long stretches with different soaps and wearing gloves when she drove her car. She strictly controlled her diet, at times eating only unseasoned boiled potatoes. At a birthday party at Lucy's home in 1998, Ana sat stone-faced and barely spoke. "Some of my friends thought she was very rude, that there was something seriously odd with her. And there was. She was cut off from her handler," Lucy said. Inside the DIA, the star analyst remained above suspicion. Montes had succeeded beyond the Cubans' wildest dreams. She was now briefing the Joint Chiefs of Staff, the National Security Council and even the president of Nicaragua about Cuban military capabilities. She helped draft a controversial Pentagon report stating that Cuba had a "limited capacity" to harm the United States and could pose a danger to U.S. citizens only "under some circumstances." And she was about to earn yet another promotion, this time a prestigious fellowship with the National Intelligence Council. An advisory body to the director of central intelligence, the NIC was then at CIA headquarters. Montes was about to gain access to even more treasured information. Her spy career would have reached unfathomable heights had it not been for a back-bench DIA employee named Scott Carmichael. Round-faced and often stuffed uncomfortably in size 44 suits, Carmichael defies the stereotype of the sophisticated, Georgetown-trained mole hunter. He laughingly describes himself as "a Kmart security guard," but for the past quarter-century the former cop from Wisconsin's dairy belt has hunted spies for the DIA. In September 2000, Carmichael got a hot lead. Veteran DIA counterintelligence analyst Chris Simmons had been approached by a female intelligence officer. She had risked her career to inform Simmons that the FBI had spent two years fruitlessly trying to identify a U.S. government employee who appeared to be spying for the Cubans. It was an "UNSUB" case, meaning a search for an unidentified subject. The FBI knew that the UNSUB had high-level access to U.S. intelligence on Cuba, had purchased a Toshiba laptop to communicate with Havana and a few other tidbits. But with so few details, the FBI investigation had stalled. Carmichael got to work. He and his colleague Karl "Gator" James began inputting some of the FBI's closely held clues into their employee databases. DIA workers surrender many of their privacy rights when applying for security clearances, and Carmichael had access to reams of personal financial records, medical histories and detailed travel itineraries. The computer search produced more than 100 possible employee matches. After scanning through about 20 subjects, the name "Ana Belen Montes" popped onto Carmichael's screen. Carmichael knew her. Four years earlier, one of Montes' fellow DIA analysts had squealed on her, troubled by her occasionally aggressive efforts to access sensitive information. Carmichael had even interviewed Montes and thought she had been lying. "I was left with this nagging doubt," he recalls. But Montes had been able to explain away all her actions, and Carmichael had closed the case. Now the computer screen was blinking Montes' name, and he was convinced she must be a spy. "I knew, I really knew it was her," he said. But the FBI was unimpressed. Lead agent Steve McCoy riddled holes in Carmichael's thesis, pointing out that many other federal workers and contractors matched the same circumstantial shreds of evidence that had supposedly tied Montes to the case. And some of Carmichael's evidence made no sense. Carmichael conceded there were holes in his theory and reminded himself that Montes was a stellar employee. He also knew that few women have been prosecuted for espionage in America since the Cold War. Still, Carmichael was certain he was on the right track. As he walked out of the FBI that first day, he swore a pledge. "I can remember looking off in the direction of the DIA and being so freakin' pissed off," Carmichael fumed years later. "I told Gator we're going to war. I said, 'We're getting rid of that . . . woman, and these guys don't know it yet, but they're opening a case on her.' "
Carmichael built a dossier on Montes and began badgering McCoy with facts, dates and coincidences. He made excuses to stop by McCoy's office to talk about Montes and fill in holes. And when he was ignored, he went over McCoy's head. After nine weeks, Carmichael's relentless campaign paid off. McCoy was sold and persuaded headquarters to open a full investigation. "The bureau got really lucky when the DIA came to us with Montes as a suspect," said Pete Lapp, McCoy's partner on the case. Despite their differences, McCoy says Carmichael deserves a tremendous amount of credit for his tenacity: "He broke the case. He gave us our subject," and "from that point on, the FBI made the case." Once the FBI was fully engaged, it assigned more than 50 people to work the investigation and won permission from a skeptical Foreign Intelligence Surveillance Court judge to conduct surreptitious searches of Montes' apartment, car and office. FBI operatives tailed Montes and filmed her making suspicious calls on pay phones. Lapp used a national security letter, a form of administrative subpoena, to gain unfettered access to Montes' credit records. Montes, he learned, had applied for a line of credit in 1996 at a CompUSA store in Alexandria. Her purchase? The same model of Toshiba laptop that the FBI had learned about from its original source when it began its UNSUB investigation. "It was awesome, it was awesome," Lapp recalls. "This was regular old detective work." Still, no one had witnessed Montes meeting a Cuban, typing coded messages at work or stuffing anything classified into her pocketbook. For Lapp, then, there was a lot riding on the first sneak-and-peek of Montes' apartment. He needed concrete proof that Montes was a spy. Yet he couldn't risk tipping her off with a messy search. "There's no bigger stress that I've had professionally than being in someone's apartment, legally, with them not knowing it and having a chance to get caught," said Lapp, a former police officer. "You're being a cat burglar, legally, but you can get caught, and the entire case is blown." Adding urgency was Montes' pending promotion to the CIA advisory council. Carmichael needed to quietly stall the assignment. With help from Vice Adm. Thomas Wilson, then the DIA director, dthey concocted a simple ruse. At the next big staff meeting, someone would casually mention that a large number of DIA employees were on loan to outside agencies, a common practice. Wilson would explode and announce a total freeze on external assignments. The theatrics worked. Montes never knew that the agencywide moratorium was designed just for her. Dozens of supervisors at other Washington agencies had called Wilson to complain, but the bogus temper tantrum kept Montes out of the CIA. Just as the FBI's criminal case was building steam, Montes fell in love. She had begun dating Roger Corneretto, a senior intelligence officer who ran the Cuban intelligence program for SouthCom, the military installation the Wasp network had tried to infiltrate. Eight years her junior, Corneretto was attracted to Montes' ambition, tight skirts and smarts. Corneretto said that, at first, he enjoyed the challenge of trying to woo the DIA "ice queen." "It took a long time for her to finally let me in, and when she did I realized that warmth and niceness were not going to come pouring out in a way to make up for how she was and for her inexplicable hostility to good people," Corneretto recalled in a recent email. Corneretto is married now and still works for the Pentagon. He reluctantly agreed to discuss his ill-fated office romance. "As a close community we were all fooled, but on top of that, I was even dating her, so [my] sense of shame and guilt and failure and personal responsibility was indescribable," he said. He calls Montes "an unapologetic, highly educated, volunteer thug for a police state" and declares that "she will never be off the hook with me." Despite her boyfriend's obvious intel potential, investigators believe that Montes' affections were real. She fantasized about starting a family and ditching her espionage career. But her handlers refused to let their top producer quit. "I'm a human being with needs that I couldn't deny. I thought the Cubans would understand," she later revealed to her debriefers. But spy agencies don't work that way. "She naively believed that they would thank her for her assistance and allow her to stop spying for them," the CIA commented in its analysis. On May 25, 2001, Lapp and a small team of black-bag specialists slipped inside Apartment 20. Montes was out of town with Corneretto, and the FBI searched her closets and laundry bins, paged through shelves of neatly stacked books and photographed personal papers. They spotted a cardboard box in the bedroom and carefully opened it. Inside was a Sony shortwave radio. Good start, Lapp thought. Next, techs found a Toshiba laptop. They copied the hard drive, shut down the computer and were gone. Several days later, a secure fax machine at the Washington field office began churning out the translated contents of the hard drive. "That was kind of our eureka moment," Lapp said. The documents, which Montes had tried to delete, included instructions on how to translate numbers-station broadcasts and other Spy 101 tips. One file mentioned the true last name of a U.S. intelligence officer who had been operating undercover in Cuba. Montes had revealed the agent's identity to the Cubans, and her Cuban intelligence officer thanked her by noting, "We were waiting here for him with open arms." But the FBI needed more. It wanted the crypto codes that it was certain Montes carried in her purse. It fell to Carmichael to design a plan so Montes would abandon her pocketbook in her office. As described in Carmichael's 2007 book, "True Believer," the elaborate stunt included a bogus software glitch and a phony invitation to speak at a meeting just one floor away. The conference-room location was close enough Montes might not bring her pocketbook, and the meeting was kept short enough that she wouldn't need her purse to buy lunch afterward. On the day, two IT geeks huddled by Montes' cubicle to investigate an annoying new computer malfunction. One of them happened to be FBI Special Agent Steve McCoy. When her colleagues weren't looking, McCoy tossed Montes's pocketbook into his toolbox and slipped off. The FBI quickly copied the contents and returned the pocketbook. Inside her purse were pager warning codes and a phone number (area code 917) later traced to Cuban intelligence. Without any eyes-on evidence of a dead drop of classified documents, though, the FBI worried that Montes would be able to plea-bargain her way out of trouble. But they were out of time. Hijacked planes had just slammed into the Pentagon and the World Trade Center, and overnight the DIA was on a war footing. Montes was named an acting division chief, based on her seniority. Making matters worse, DIA supervisors who were ignorant of the investigation had selected Montes as a team leader to process target lists for Afghanistan. Wilson, the DIA director, had demanded strict operational security regarding Montes. But now he wanted her out of the way. Cuba had a long history of selling secrets to America's enemies. If Montes obtained the Pentagon's war plan for Afghanistan, DIA officials worried, the Cubans would eagerly pass the information to the Taliban. Carmichael came up with one final deception. On Sept. 21, 2001, a DIA supervisor called Montes with an urgent request from the DIA inspector general's office to help deal with an infraction by one of her subordinates. Moments later, Montes appeared in the inspector general's office and was ushered into a conference room, where McCoy and Lapp were waiting for her. McCoy played good cop, suggesting vaguely that a technical source or an informant had led them to her. Montes went pale and stared ahead, blankly. McCoy soft-pedaled her culpability, hoping she might try to offer innocent rationales for unauthorized contacts with Cuban officials. But when Montes asked if she was under investigation and requested a lawyer, the charade ended. "I'm sorry to tell you, but you are under arrest for conspiracy to commit espionage," McCoy announced. Lapp slapped on the handcuffs, and they escorted Montes out of the DIA for the last time. A nurse, oxygen tanks and a wheelchair had been positioned in the wings, but the Queen of Cuba didn't need any help. "We figured she would just kind of collapse, be a wreck," Lapp said. "And I think she could have just carried both of us out on her back. She walked out that calm — I won't say 'proud' — but with that kind of composure." Later that day, an FBI evidence team scoured Montes' apartment for hours. Hidden in the lining of a notebook they found the handwritten cipher Montes used to encrypt and decrypt messages, scribbled shortwave radio frequencies and the address of a museum in Puerto Vallarta, Mexico, where she was meant to run in an emergency. The crib sheets were written on water-soluble disappearing paper. For Lucy Montes, Ana's arrest was humiliating. She and Tito had worried they would lose their FBI jobs, and the anger kept coming in waves. But for nearly a decade, Lucy saw little point in piling on against Ana. "I thought it was better to be a sister and not a judge and jury," Lucy said. But in late 2010, Ana went too far. From her Texas prison cell, she wrote an angry letter suggesting that Lucy should see a psychologist to deal with her latent rage. The hypocrisy was too much. "I thought now would be a good time for me to tell you exactly what I think about you," Lucy replied on Nov. 6, 2010, in a two-page letter she shared with this reporter. "I never told you before because . . . it seemed a cruel thing to do since you were in prison. But you need to know what you've done to all of us." Lucy began by invoking their beloved mother, Emilia. "You should know you ruined Mom's life. Every morning she wakes up devastated by what you did and where you are," Lucy wrote. It's not enough, Lucy added, that Mom "was married to a violent man for 16 years and raised four children by herself. No, you had to ruin her final years when she should be living in peace and contentment." Then she turned to the rest of Ana's inner circle. "You betrayed your family, you betrayed all your friends. Everyone who loves you was betrayed by you," Lucy wrote. "You betrayed your co-workers and your employer, and you betrayed your nation. You worked for an evil megalomaniac who shares or sells our secrets to our enemies." Finally, Lucy tore down Ana's tired rationalizations. "Why did you really do what you did? Because it made you feel powerful. Yes, Ana, you wanted to feel powerful. You're no altruist, it wasn't the 'greater good' you were concerned for, it was yourself. You needed power over other people," Lucy concluded. "You are a coward." In interviews, Lucy refuses to make excuses for her sister. While her late father did have a frightening temper, Lucy also remembers him as a compassionate man with solid values. "We all grew up in the same household, we all had the same parents, so you can't blame everything on what happened at home," Lucy said. "If there's one thing my father taught us, it's respect for the law and authority. It never even entered my mind that my sister would be capable of such a thing, because we weren't raised that way." Ana Montes lives today at the Federal Medical Center Carswell in Fort Worth, in a 20-inmate unit reserved for the nation's most dangerous female offenders. She could have been charged with treason, a capital offense, but pleaded guilty to espionage in exchange for a 25-year sentence. She still has another decade to go. "Apparently it's pretty horrific in there for her," Lucy says. "She says it's like being in an insane asylum." U.S. military and intelligence agencies spent years assessing the fallout from Montes' crimes. At a congressional hearing last year, the woman in charge of the damage assessment testified that Montes was "one of the most damaging spies in U.S. history." Former National Counterintelligence Executive Michelle Van Cleave told Congress that Montes "compromised all Cuban-focused collection programs" used to eavesdrop on high-ranking Cubans, and it "is also likely that the information she passed contributed to the death and injury of American and pro-American forces in Latin America." Strict prison rules bar Montes from talking to the media and all but a few friends and relatives. But in her private correspondence, she refuses to apologize. Spying was justified, she says, because the United States "has done some things that are terribly cruel and unfair" to the Cuban government. "I owe allegiance to principles and not to any one country or government or person," Montes writes in one letter to a teenage nephew. "I don't owe allegiance to the U.S. or to Cuba or to Obama or to the Castro brothers or even to God." Lucy Montes knows all about allegiance. When Ana walks out of prison on July 1, 2023, Lucy will be waiting. She has offered to let Ana live in her home for a few months, to get settled. "There's nothing acceptable about what she did. On the other hand I don't feel like I can turn my back on her, because she's my sister."